Though wireless charging is out in the market for a few years but its success isn’t much to talk about. Nexus, HTC, Nokia, and Samsung all tried it in their own way and yet waiting to find reasonable solution for the mass people. Maybe those companies learn something from the QiPOWER team. Recently they have launched a campaign to raise funds on indiegogo. Their solution can allow you to charge your phone wirelessly wherever you like in your home. 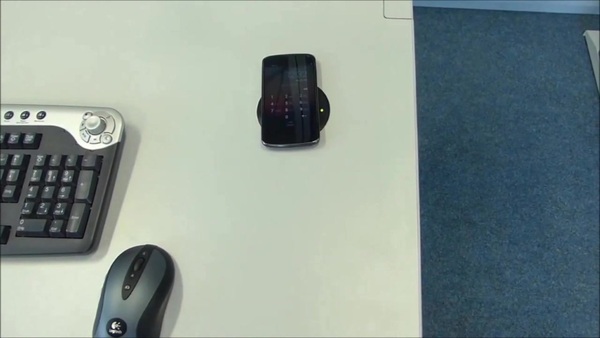 QiPOWER is basically a pad that you install into a variety of surfaces, that allows you to use inductive charging to juice your phone, without any wire. But you have to bore a 3-inch (80mm)-wide, 0.6-inch deep hole into the surface. The system is comprised of a circular-shaped QiPOWER TX Transmitter which slots neatly inside the hole, a black cover with a LED-indicator that covers the opening, and a Qi-compatible RX receiver for smartphones that lack in-built wireless charging. The system doesn't require the receiver, because it’s compatible with all Qi-certified devices. As long as your smart-watch, camera, glasses, or whatever technology you have on you has in-built Qi wireless charging, it will work. Likewise, the RX receiver is compatible with all Qi-transmitters. Thus, backers have the option to order each item separately with different pledges. In the following video they demonstrate variety of uses, from installing a pad in hotel bed stands, to bars, to kitchen counter tops; the possibilities are countless. If the project goes through with funding, it’s scheduled to launch in August 2014.